If you’re one of those moms who sends their kids to school on their birthday with a box of store-bought cupcakes, those days are over. 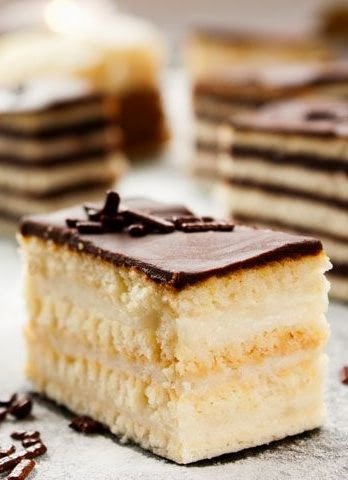 With a recipe that is as easy as Honey Maid’s Easy Chocolate Éclair Squares, you can kiss the days of store-bought sadness goodbye. Both cost-efficient and super simple to make, kids will be licking their fingers on their way to grabbing seconds. Beat the pudding mix and 1 ¾ cups of the milk in large bowl with a whisk for 2 minutes. Stir in the Cool Whip. Layer about 1/3 of the grahams and ½ the Cool Whip mixture in 13-by-9-inch pan, breaking the grahams as necessary to fit; repeat layers. Top with the remaining grahams. Microwave the chocolate and butter in medium microwaveable bowl on high for 1 ½ minutes, stirring after 1 minutes. Stir until the chocolate is completely melted. Add the sugar and remaining milk and stir until well blended. Immediately spread over the grahams. Refrigerate for 4 hours. Make It Your Own: While all of the ingredients in this recipe perfectly complement each other, one slight variation may be worth considering if you are a chocolate fiend. Instead of using the Honey Maid Honey Grahams, swap them out for the chocolate-flavored ones to make your éclairs extra decadent.